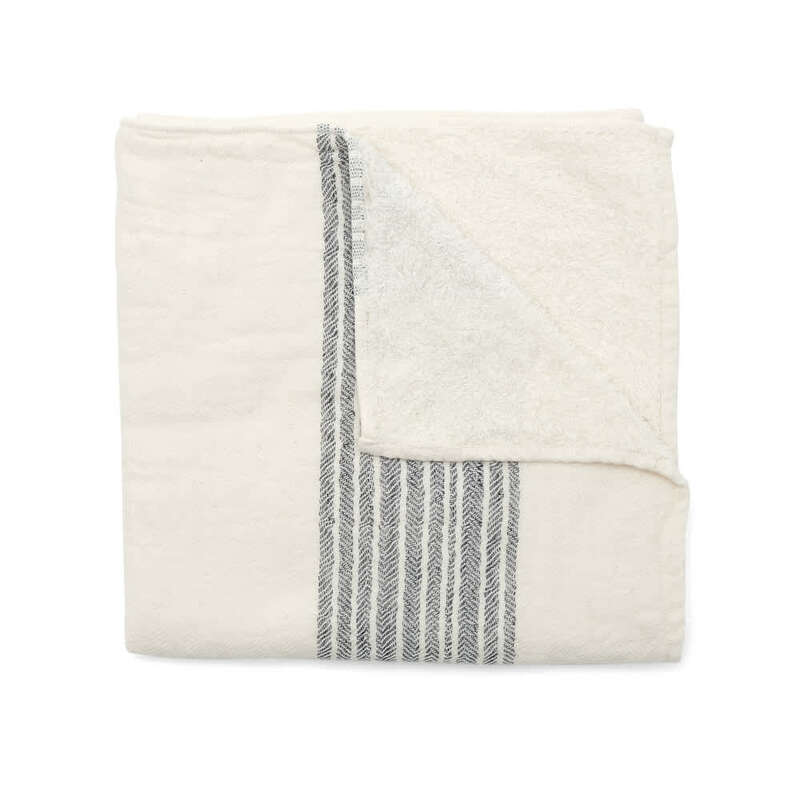 Manufactured in Shikoku, Japan, these organic cotton towels are designed to be highly absorbent and soft to the skin. Each towel has a cotton terrycloth side with a fine cotton gauze top side for ultra-softness. Cream with a navy stripe design in 100% organic cotton.